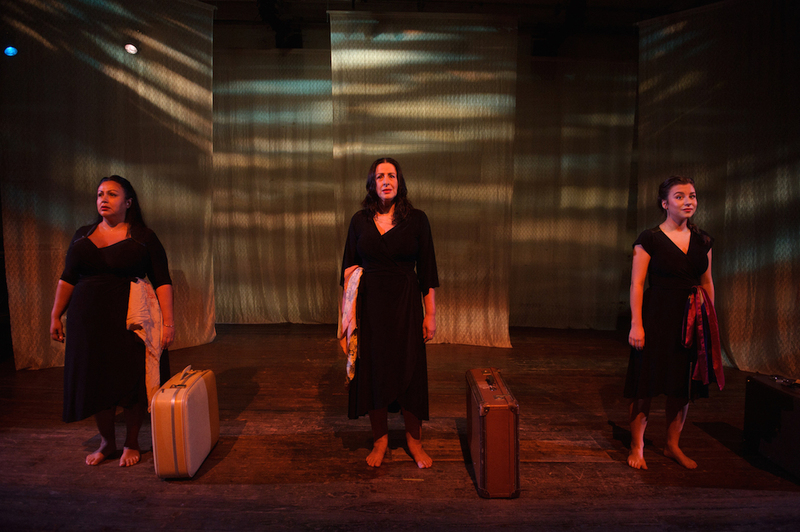 Brimming with tender warmth, fiery passion, gentle humour and touching pathos, Taxithi is a moving celebration of the courageous Greek women who forged new lives in Australia in the 1950s and 60s. As a loving gift to her descendants, Helen Yotis Patterson has crafted a richly fascinating collection of reminiscences and recollections. Far more surprising, amusing and compelling than any fictional accounts could possibly be, Patterson’s narratives are clearly the result of patient, careful listening and collecting. While there is an innate heaviness to the material, the succinct, overlapping scenes give the show plenty of punch. The 80-minute running time fairly flies by. 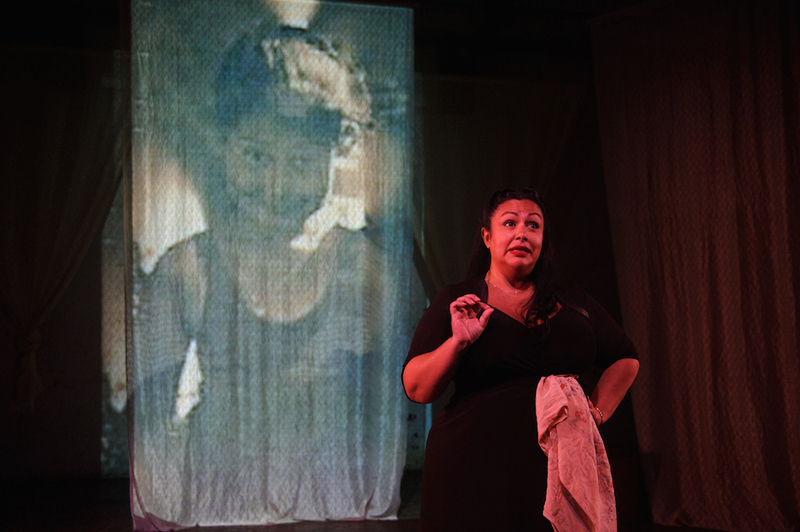 Presented as an entertaining hybrid of interwoven story and song, the staging is enhanced with projected images related to the women, husbands and children whose tales are shared. 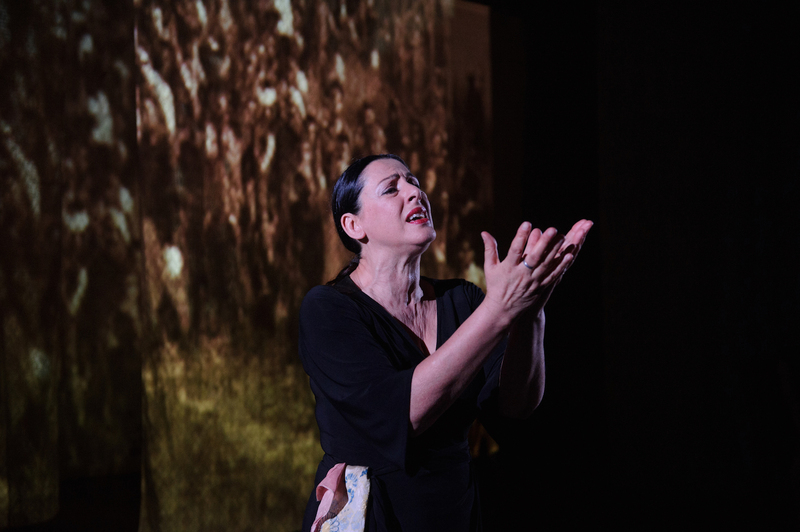 Patterson is joined by fellow talented performers Maria Mercedes and Artemis Ioannides as three “Fates” who channel the voices of the past to inform the present. While primarily an exploration of memories, the political message of Taxithi is unavoidable in our current climate. Around the middle of the show, one of the women who has been interviewed expresses her utter bewilderment at the current treatment of refugees given the way so many like her were accepted 50-60 years ago. The point lands strongly, and is reaffirmed at the conclusion. Music is a very significant aspect of Taxithi. 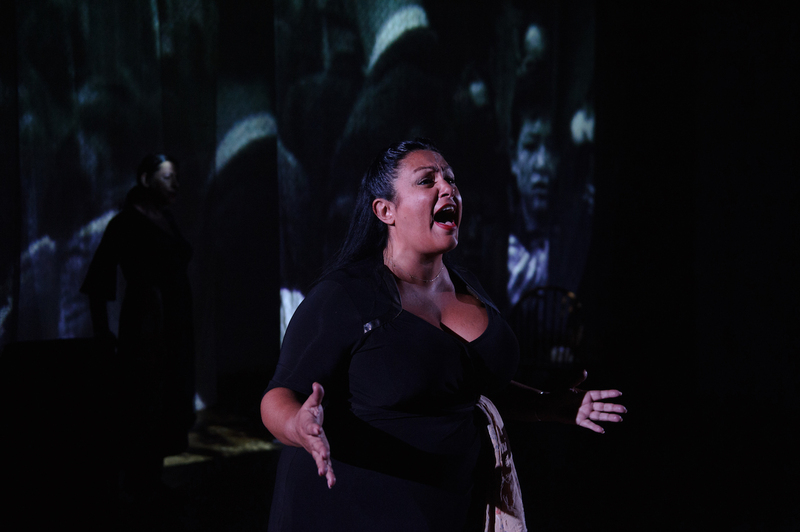 Musical director Andrew Patterson has arranged a host of Greek songs, which not only punctuate the scenes but also add extra layers of depth and emotion to the storytelling. English surtitles are used for many of the songs, but even when there is no translation, the meaning and feeling shine through. Andrew Patterson accompanies the performance on piano, and Jacob Papadopoulos provides an authentic Greek flavour on the bouzouki. 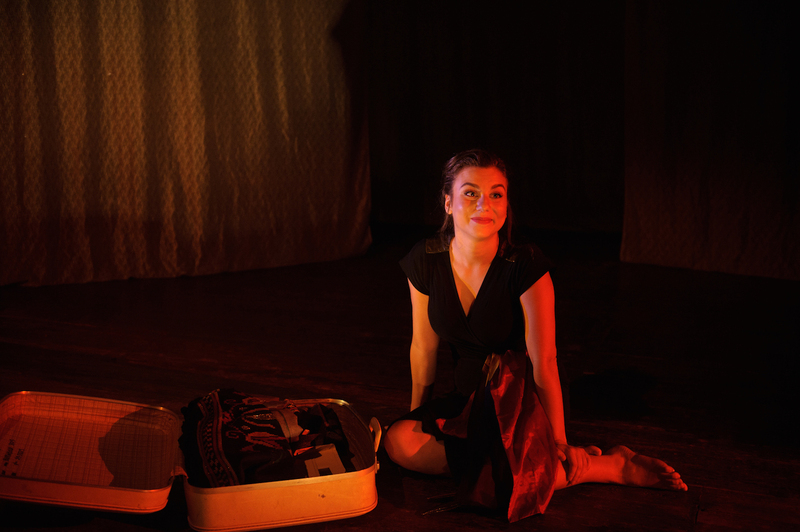 The intimate space of fortyfivedownstairs facilitates a close bond between performers and audience. Unamplified dialogue and vocals are easily heard, and every nuance of expression is clearly seen. Director Petra Kalive has brought out a range of styles in the three performers, and uses just a couple of props to create variety and levels in the scenes. Kalive gives the show a natural feeling of flow, with stories just beginning and ending organically as if the descendants are really speaking spontaneously through the muses. In a wise move, the performers do not portray the tellers of the stories in their old age, but rather their young and vital selves. Patterson generously shares her writing between the three performers, allowing each to be seen equally. Not only a terrifically powerful singer, Patterson also deftly balances heartfelt pathos with cheeky exuberance. An old soul in a young body, the highly empathetic Mercedes excels at conveying the unavoidable pain of personal, and shared, grief. Mercedes tempers the dialogue with hope and compassion, and clearly conveys the wonder and excitement amidst the fear of starting a new life. A graceful actress of resolute focus, Ioannides more than holds her own alongside her more mature castmates. Displaying a flexible, versatile performing range and a charming stage presence, Ioannides particularly impresses in a harrowing scene about suicide. 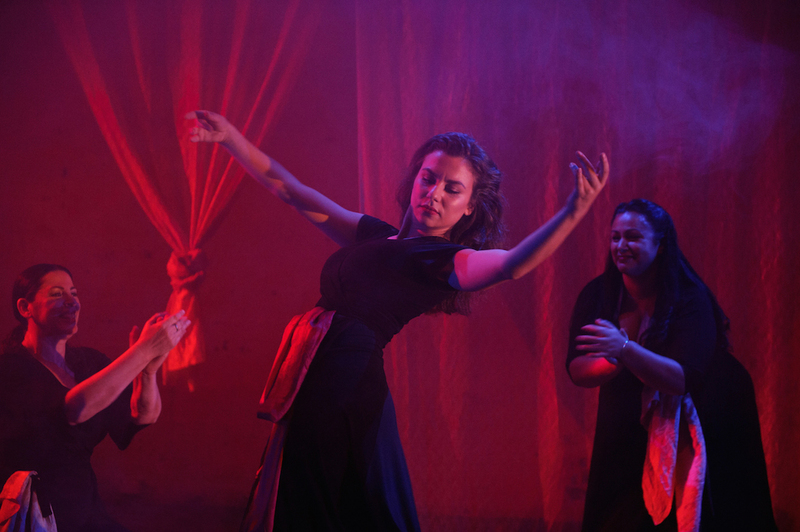 Theatregoers of Greek background will identify with and cherish Taxithi, and the universality of the unique work also gives it a broad appeal. Taxithi plays at fortyfivedownstairs, Melbourne until 10 April 2016.